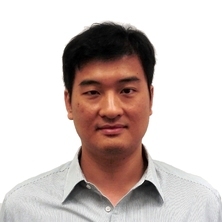 Johnny Ho joined School of Civil Engineering, The University of Queensland (UQ) in Sep 2013 as a Senior Lecturer. Before joining UQ, Dr Ho has been working in both Hong Kong and Brisbane offices of Arup from 2003 to 2007 on some large scale infrastructure projects such as The Stonecutters Bridge in Hong Kong and Ipswich Motorway Upgrade (Wacol to Darra) in Queensland, Australia. In Sep 2007, he joined the Department of Civil Engineering, The University of Hong Kong as an Assistant Professor. Dr Ho’s research interests are on scientific study on fresh concrete and its application to concrete-filled steel tubular structures. He is now developing a scientific concrete mix design method for low-carbon-footprint, low cost and high performance concrete (HPC) by investigating the packing of particles in the fresh concrete and the incorporation of multi-sized fillers. Dr Ho is also interested in applying the low-carbon-footprint high-performance concrete to single- and double-skinned concrete-filled-steel-tube columns with external steel confinement and internal concrete expansive agent. On teaching, Dr Ho has developed new courses on Structural Fire Engineering and Design of Fire Impact on Structures as per Eurocodes at both undergraduate and postgraduate levels. He has also introduced a new design course on large-scale civil water retaining structures, such as underground reinforced concrete box culverts and sewage tanks based on his previous practical design experience. Dr Ho has published 60 journal papers (including 50 SCI papers) and 30 conference papers. Two of his journal papers have been awarded the Transactions Prizes in respectively 2004 and 2005 presented by The Hong Kong Institution of Engineers. In 2011, Dr Ho was awarded the Best Presenter in the 11th International Conference on Concrete Engineering and Technology in Malaysia. In 2010, one of his PhD students was awarded The Hong Kong Institution of Engineers Outstanding Paper Award for Young Engineers/Researchers. Dr Ho has also been very successful in obtaining research and teaching grants, including a HK$1.2m GRF grant on investigating the behaviour of externally confined single- and double-skinned ultra-high strength concrete-filled-steel tubular column in 2010, a teaching grant awarded by the Ministry of Education of PRC in 2012 and an ARC Discovery Project in 2015. Dr Ho has also been very successful in supervision of undergraduate student in performing their final year projects/thesis. In 2012 and 2013, two of his Final Year Project students were given the Merit Awards of the ICE (Institution of Civil Engineers) Hong Kong Graduates and Students Papers Competition for the outstanding project work. To respond to global warming, my research advocates the use of low-carbon footprint high-performance concrete by designing scientifically concrete mixes using theory of packing density, filler technology and concrete/mortar/paste rheometry. The application of this type of concrete in hybrid-confined concrete-filled-steel-tube columns not only can improve the structural performance and safety of buildings and infrastructures, but also cut down the carbon footprint of the whole construction industry that offers Australia a more sustainable living environment. Shear thickening of cement powder paste–why and how to mitigate? Ho, J. C. M. and Dong, C. X. (2014) Simplified Design Model for Uni-Axially Loaded Double-Skinned Concrete-Filled-Steel-Tubular Columns with External Confinement. Advanced Steel Construction, 10 2: 179-199. Ho, J.C.M. and Luo, L. (2012) Uni-axial behaviour of normal-strength concrete-filledsteel-tube columns with external confinement. Earthquake and Structures, 3 6: 889-910. Ho, J.C.M. and Zhoua, K.J.H. (2011) Concurrent flexural strength and deformability design of high-performance concrete beams. Structural Engineering and Mechanics, 40 4: 541-562. Ho, J.C.M. (2011) Inelastic design of high-axially loaded concrete columns in moderate seismicity regions. Structural Engineering and Mechanics, 39 4: 559-578. Ho, J.C.M., Pam, H.J., Peng, J. and Wong, Y.L. (2011) Maximum concrete stress developed in unconfined flexural RC members. Computers and Concrete, 8 2: 207-227. Ho, J.C.M. and Zhou, K.J.H. (2011) Minimum deformability design of high-strength concrete beams in non-seismic regions. Computers and Concrete, 8 4: 445-463. Zhou, K. J. H., Ho, J. C. M. and Su, R. K. L. (2010) Normalised rotation capacity for deformability evaluation of high-performance concrete beams. Earthquake and Structures, 1 3: 269-287. Lam, Jeffery Y. K., Ho, Johnny C. M. and Kwan, Albert K. H. (2009) Minimum flexural ductility design of high-strength concrete columns. HKIE Transactions, 16 4: 2-9. Ho J.C.M., Au F.T.K. and Kwan A.K.H. (2005) Effects of strain hardening of steel reinforcement on flexural strength and ductility of concrete beams. Structural Engineering and Mechanics, 19 2: 185-198. Ho J.C.M. and Pam H.J. (2004) Extent of critical region and limited ductility design of high-strength reinforced concrete columns for hong kong practice. HKIE Transactions Hong Kong Institution of Engineers, 11 3: 17-28. Ho J.C.M. and Pam H.J. (2003) Influence of transverse steel configuration on post-elastic behaviour of high-strength reinforced concrete columns. HKIE Transactions Hong Kong Institution of Engineers, 10 2: 1-9. Ho J.C.M. and Pam H.J. (2002) Flexural strength and ductility performance of high-strength reinforced concrete columns. Structural Engineer, 80 23-24: 26-34. Ho J.C.M., Kwan A.K.H. and Pam H.J. (2002) Ultimate concrete strain and equivalent rectangular stress block for design of high-strength concrete beams. Structural Engineer, 80 16: 26-32. Ho J.C.M., Kwan A.K.H. and Pam H.J. (2002) Effects of using high-strength concrete on flexural ductility of reinforced concrete beams. HKIE Transactions Hong Kong Institution of Engineers, 9 1: 14-21. Pam H.J., Kwan A.K.H. and Ho J.C.M. (2001) Post-peak behavior and flexural ductility of doubly reinforced normal- and high-strength concrete beams. Structural Engineering and Mechanics, 12 5: 459-474. Ho, Johnny (2016). External confining effect in concrete-filled-steel-tube columns. In: The 14th East Asia-Pacific Conference on Structural Engineering and Construction, Ho Chi Minh City, Vietnam, (). 6-8 January 2016. Ho, J. C. M. (2010). Interrelation of axial load level and confining pressure for minimum ductility design of concrete columns. In: 9th US National and 10th Canadian Conference on Earthquake Engineering 2010, Including Papers from the 4th International Tsunami Symposium. 9th US National and 10th Canadian Conference on Earthquake Engineering 2010, Including Papers from the 4th International Tsunami Symposium, Toronto, ON, (145-154). 25 - 29 July 2010.